Users, sometimes, may want to collect objects for a particular purporse or find information about objects having a particular value of field. A objectgroup is a logical grouping of business objects created by an individual user. Groups of objects are often the result of a query made by a user or can be manually constructed based upon the needs and desires of him. 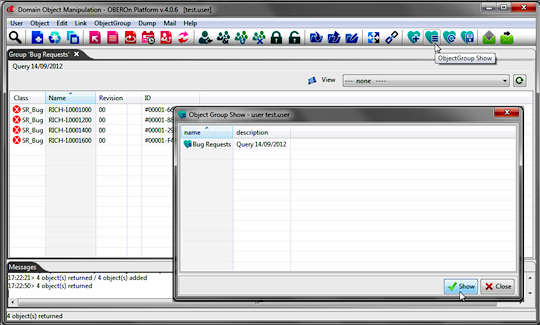 The content of a objectgroup can be viewed at any time and objects can be added or deleted from it easily. 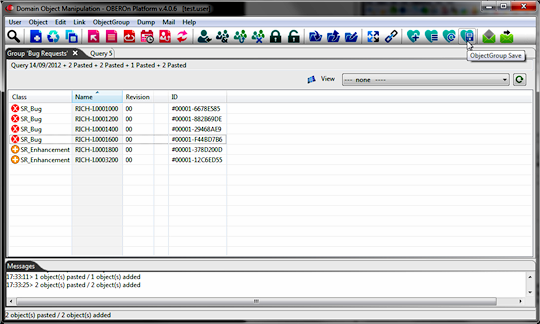 However, a user has access only to objectgroups created by himself. It is important to realize that objectgroups are not the same as links between objects. Links also group the business objects together, but they form a structured collection and are known to all users who have access to the objects. Objectgroups must have a unique name assigned within a given user context but they are local to the context of each user: although a single user cannot duplicate a group name, different users can use the same name. 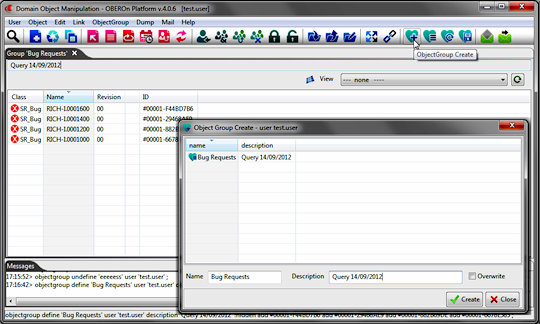 Users can manage objectgroups by the "Domain Object Manipulation" client. NOTE: You can cut, copy, move objects between query result tabs to compose the group to save, by selecting the target objects and by using the Edit/Cut ; Edit/Copy ; Edit/Paste or Edit/Paste New from the main menu or the equivalents keyboard shortcuts. Moreover, you may want perform modification to the object list, for adding or removing objects or you may refreshing this list in case of, for example, a running process or a trigger are updating the objectgroup's status. You can click the "ObjectGroup Save" and "ObjectGroup Reload" buttons respectively. 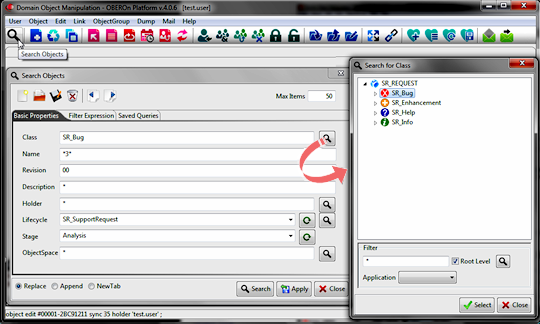 A particular objectgroup named "Recent_Objects" is automatically created for each user to collect the object instances recently opened in full mode (field value reading); inside these groups the users can find only objects that are enabled to be listed in their lifecycle stage properties (see the "Add To Recent" option).